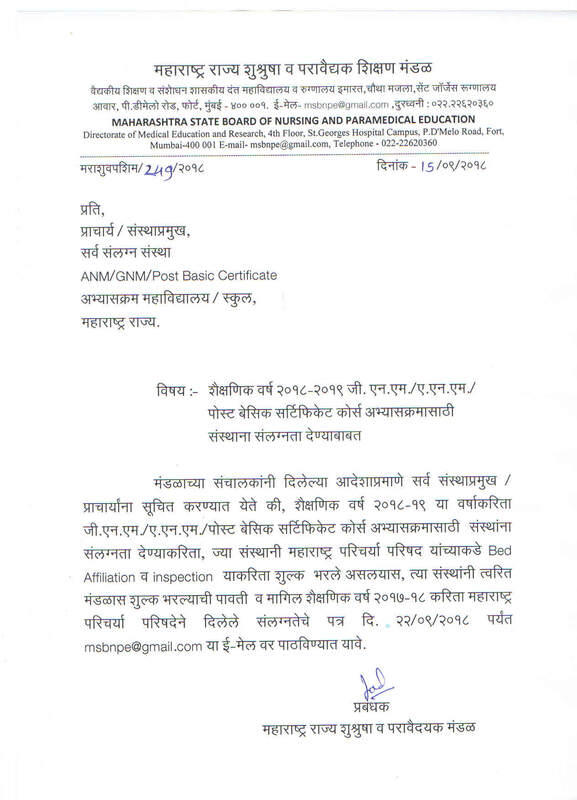 Notice Regarding ANM 1st yr/GNM 1st yr Re-evaluation. 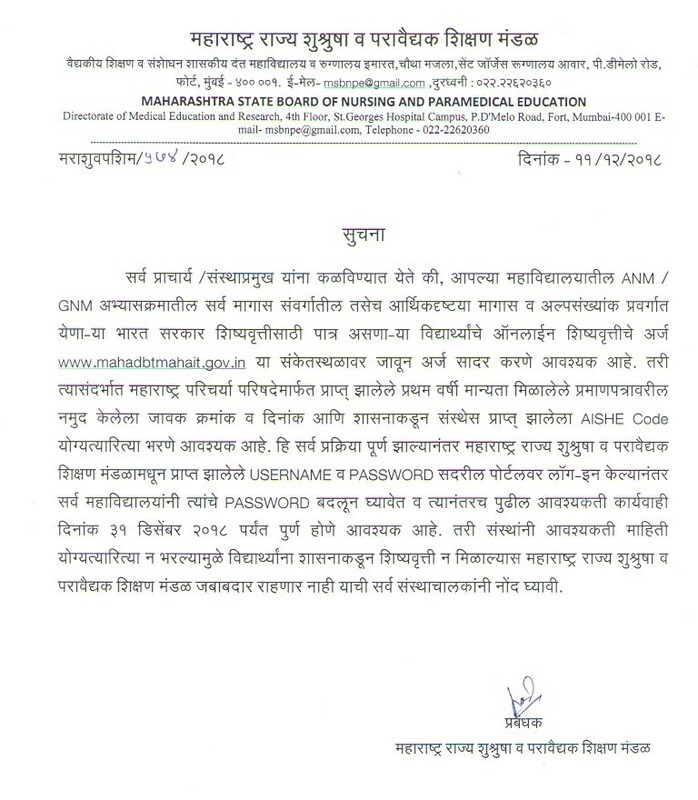 Notice regarding Extension of Enrollment Date of ANM/GNM 1st year students for AY 2018-19. 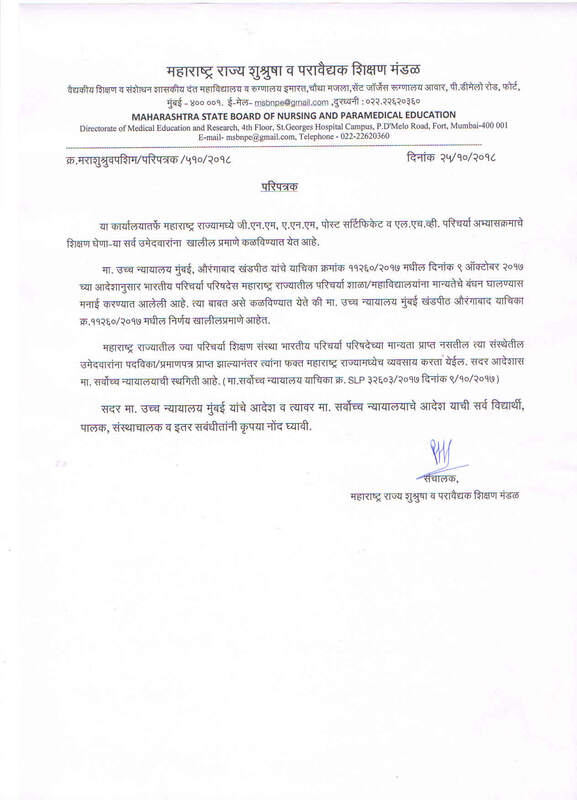 "Joint Declaration -Affidavit for A.Y. 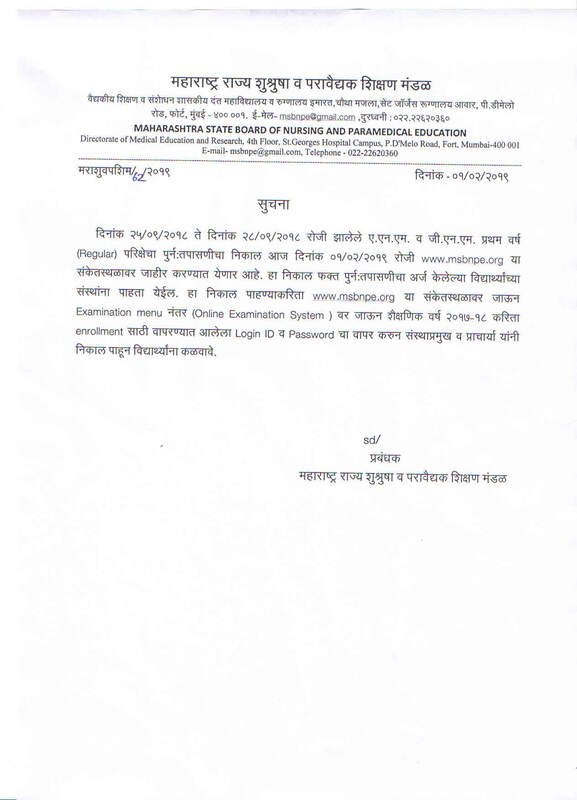 2018-19 by the Institution for Affiliation"
"Joint Declaration -Affidavit for A.Y. 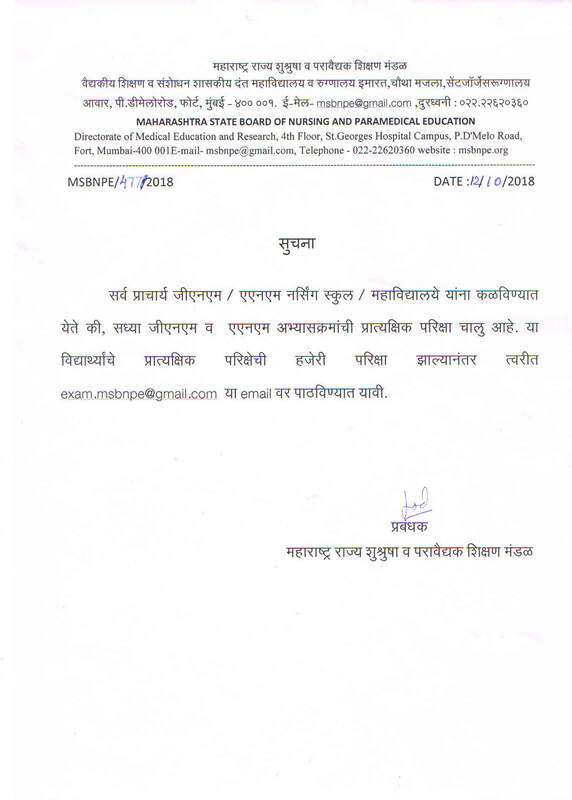 2018-19 by the Institution for enrolled students"
"Notification regarding Affiliation and Updated Provisional List of Affiliated Institutes for A.Y. 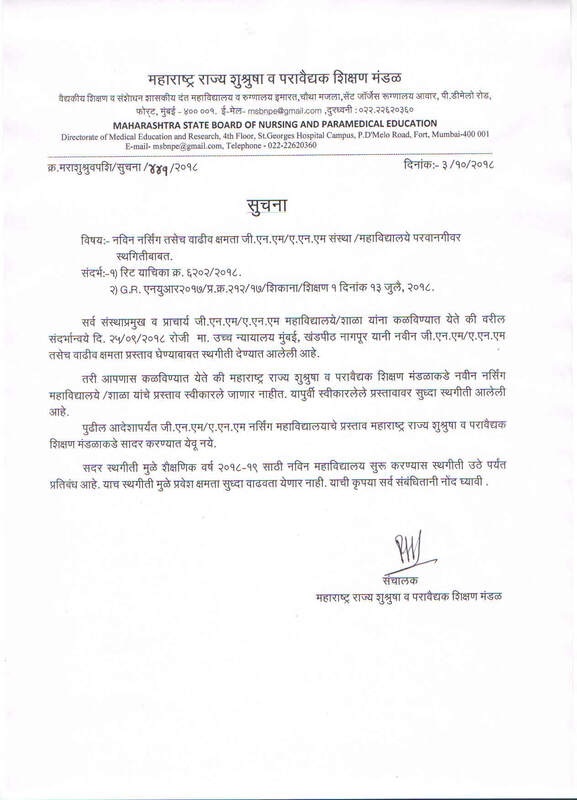 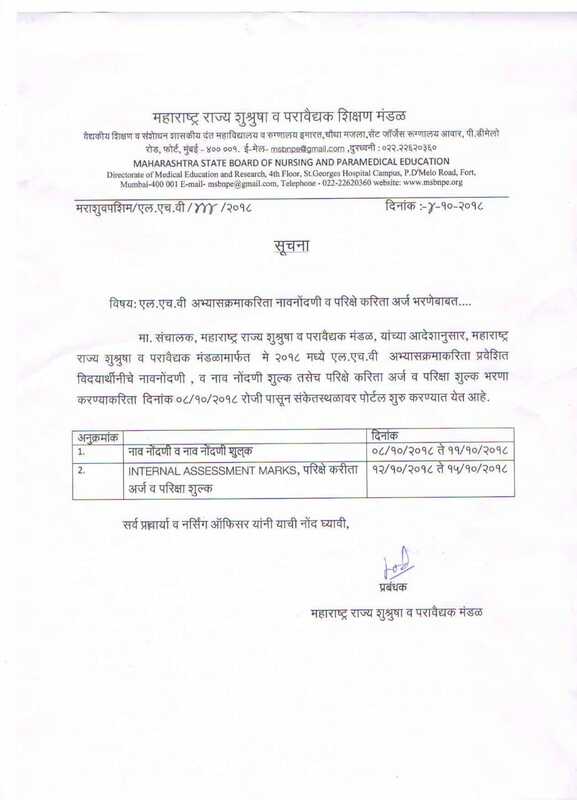 2018-19 (ANM/GNM)"
"Notice regarding new proposals for academic year 2019-20"
"Notification for filling Information for mahaDBT"
"Notification regarding extension for filling Affiliation and Updated Information for Academic Year 2018-19"
"Revised Notification regarding Affiliation for Academic Year 2018-19"